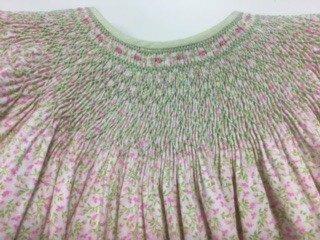 Have you always wanted to learn the art of smocking? Or do you need to brush up on your smocking skills? Come join us! We will have you smocking like a professional after a 2-session class. All you need to bring is a pair of embroidery scissors all other items needed for the class will be supplied. Class price includes supplies needed. Just bring your scissors.